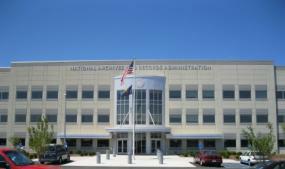 The National Personnel Records Center (NPRC) is one of the National Archives and Records Administration's (NARA) largest operations. We are the central repository of personnel-related records for both the military and civil services of the United States Government. Our mission is to provide world class service to government agencies, military veterans and their family members, former civilian Federal employees, and the general public. The NPRC, as it exists today, is the product of several previous operations. Today's organization is the embodiment of NARA's policy that places all inactive Federal personnel records, both military and civilian, in the custody of a single administrative unit. The history of the NPRC is a rich and varied story whose roots are interwoven in the fabric of the post-World War II American Experience. * Records are accessioned into the National Archives, and become archival, 62 years after the service member's separation from the military. This is a rolling date; hence, the current year, 2018, minus 62 years is 1956. Records with a discharge date of 1956 or prior are archival and are open to the public. Records with a discharge date of 1957 or after are non-archival and are maintained under the Federal Records Center program. Non-archival records are subject to access restrictions. Check out our new Research Rooms! If you live in a community that was impacted by a natural disaster such as the wildfires in California, and need priority service to replace a Separation Document (usually DD Form 214 or equivalent), place the word “Natural Disaster” in the "Comments" section of eVetRecs or in the "Purpose" section of the Standard Form (SF) 180, Request Pertaining to Military Records.